Gowns are the best for newborns and this would be a perfect picture opportunity. The white longsleeve gown has a bright pink picot trim around the neckline. 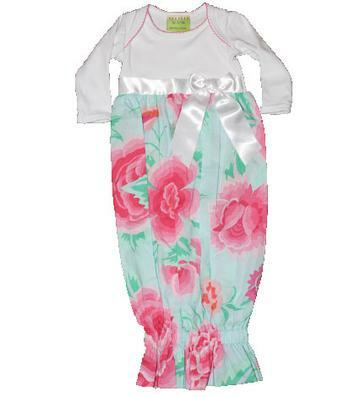 There is a white silk bow on the bottom of the chest and it changes into a pretty floral print with pink, dark pink, green, and aqua. 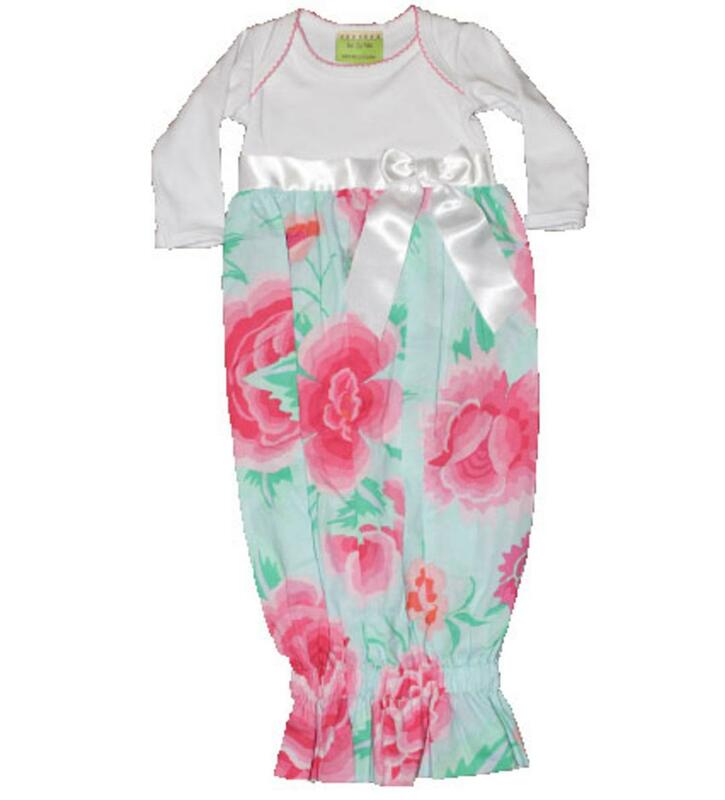 This adorable outfit has elastic down by the feet so it will not move up while they sleep. This super soft outfit is 100% cotton.